Found this pretty groovy visual traceroute tool today. 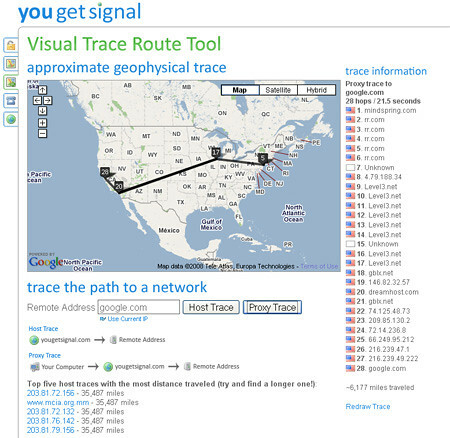 It’s called YouGetSignal and lets you do a trace route to any server and watch it load on a Google Map – you can do it from your machine or from the YouGetSignal server. I did a routing and it’s interesting to watch it move around in weird directions. Of course many times the physical location does not match the actual location of the machine.